It’s simply black and white! I have had this beautiful black and white dress at Belle for awhile now. People have been put off by it’s brazen and bold simplicity, besides they have been much more impressed with the nearby twinkle of crystals and sequin. 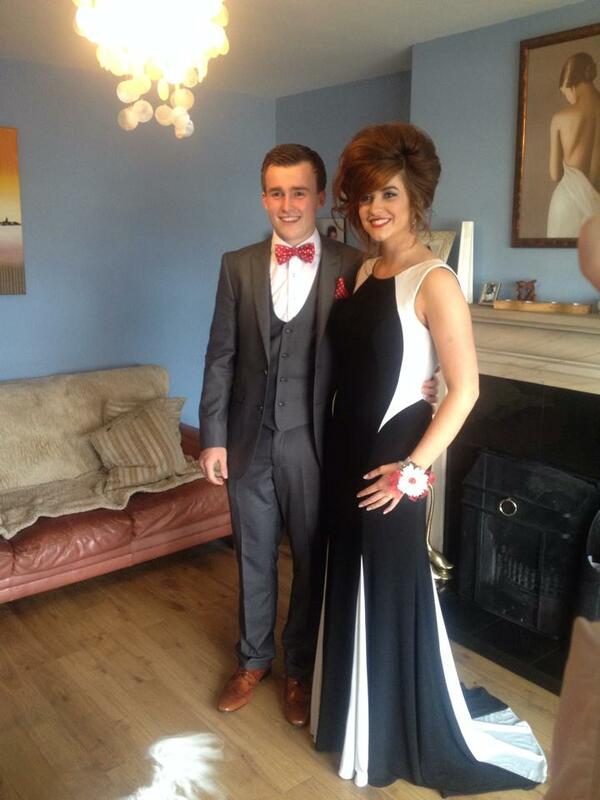 So I was delighted when the young Milly dared to try on this gorgeous monochrome style for her school formal. This dress must be worn on somebody tall so that the lighter side panels hit the waist and hips at just the right point. Milly had a beautiful, elongated torso therefore the dress looked stunning on her. I was delighted to hear that she and date won the coveted “Best Dressed Couple” award at the formal. When Milly came to see me she had no make-up on and was dressed very casually with hair in a ponytail. I knew the dress would be fabulous but even I was blown away when I saw this photo of her ………. Girls, sometimes it pays to be brave and wear something different, something unexpected. Remember you want to stand out at your formal, not blend in. Take a risk and chose a dress that you love not one that you think other people will like.